There are times that Cebu Pacific Piso Fare or promo fare flights can be only reserved and booked via their online facility. Meaning, these promos will not be available in ticketing offices and travel agencies. So, in order to help our Piso Fare friends, who do not know yet how to do online booking, here is a step by step guide on how to book and pay your Promo tickets even if you are just staying in your office or home. 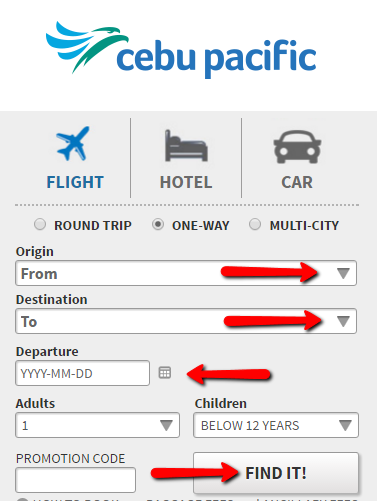 Hopefully this can aid you in successfully reserving, booking and paying your Cebu Pacific tickets. When all the three items are ready, you can now start your online booking. Step 1. Access the website of Cebu Pacific. Tick the appropriate portion if you are booking for round trip or one-way ticket. One-way is selected for this presentation. Then, select your destination and tick it. Select travel dates (departure and return date if round trip ticket)- dates must be within the Cebu Pacific Promo period. Leave the Promo Code blank (most of the promos now do not require promo code) unless it is specified that Promo Code is needed. Step 2. Select the time of your departure, tick the round image beside the fare. 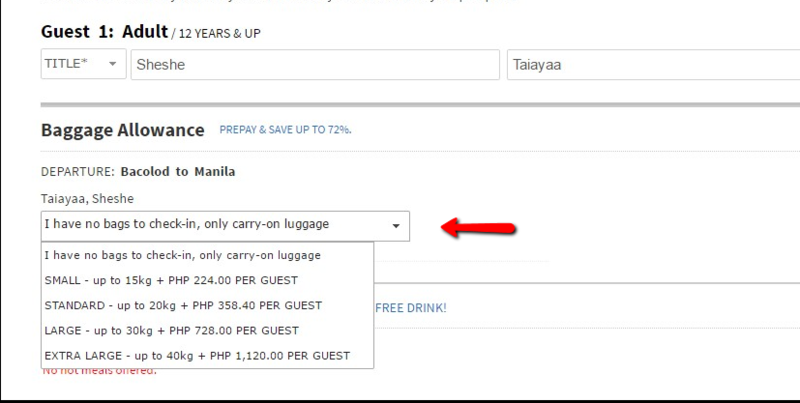 On the Baggage Allowance Section, select if you will be bringing checked baggage. If not, tick “I have no bags to check-in, only carry-on luggage. Scroll down until you reach the bottom of the page. If you want to reserve seat do not do anything. By default, it is indicated that you are pre-selecting your seat. Tick “remove” if you do not wish to pre-select your seat. Scroll down to the bottom and hit continue. If you do not want to get the travel insurance, unchecked “Yes, I will travel with Travel Sure” so the travel insurance fee of P280.00 will not be added to your fare. How would you like to pay? Before continuing, check if the price and flight details of your ticket is correct. If you click the Credit card/Debit card, you need to tick what kind of card you will be using in paying the ticket and you need to fill up the following: credit card number, issuing bank, country, validation number, expiration date of the card, then the card holder personal details. If you will be paying thru payment centers, tick the Payment Center partner where you will pay for your ticket. Hit CONTINUE and you will have the final page, the Itinerary Receipt which will show your booking number and date and amount of ticket fare. In this case, I choose to pay thru 7 Eleven stores, so, it displays that the booking status is on hold and pending because I still need to pay the fare. Payment of the ticket should be done within 24 hours so you will get your final booking itinerary which will be sent to the email address stated in the “Contact Information” section during the booking. Your booking will be cancelled if you failed to pay your booking on the stipulated time. Once you received the Cebu Pacific Itinerary Receipt, you may print it or send it to your mobile device or tablet which you can show at the check-in counter on your departure date. Now that you have the guide for online booking, we hope you will be ready and be able to do online booking for the next Cebu Pacific Seat Sale! 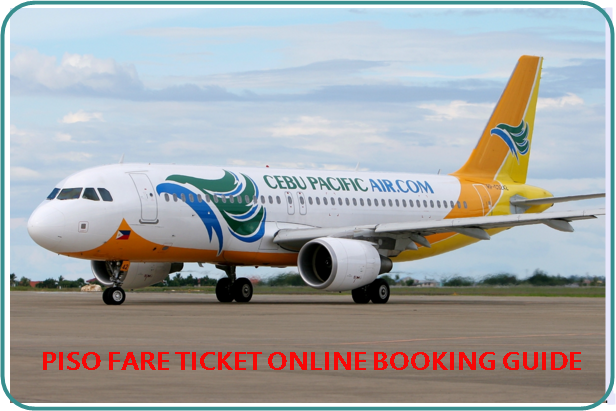 We will be happy if you will be successful in reserving and booking in future Cebu Pacific Promo Fares. Do send us message in our FB Piso Fare Tickets if you manage to get a Promo ticket 2016 or Piso Fare 2017. LIKE and FOLLOW us on Facebook at PISO FARE TICKETS for travel tips, airline Promo Fare, PISO FARE 2016 and PISO 2017! 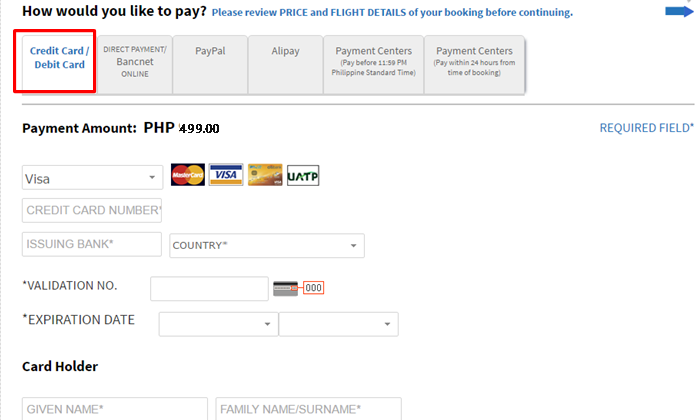 thanks so much cebu pacific for the piso fare promo.. i had availed one from ozamiz to manila and i paid only 499… whoa! what a great privilege for us ….. Thanks po Ms Adelyn for sharing your good news with us! Happy flight po!